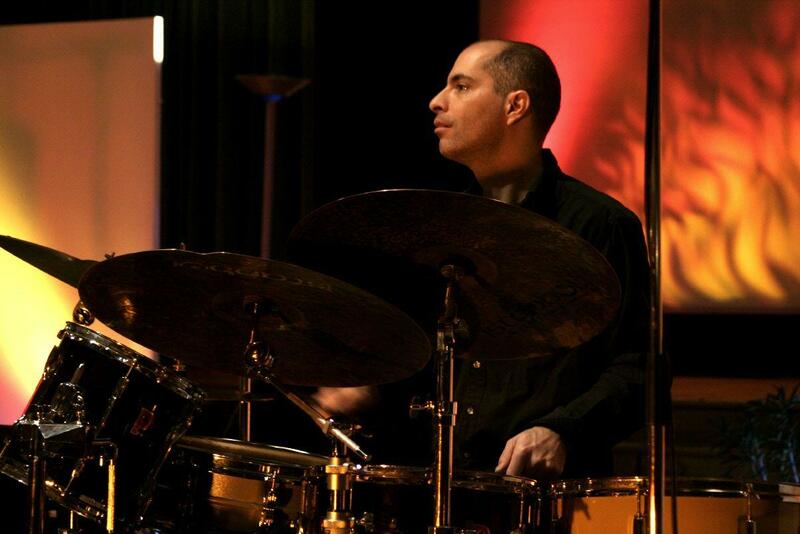 Born in Israel, Asaf started his professional career as a drummer in the late 80’s and played with some of Israel’s Jazz luminaries such at Harold Rubin and Alber Beger. A few years after the recording of his first solo album ‘One Step Closer’ Asaf relocated to the Netherlands, France and finally settled in London around 1999 where he soon became one of the most active Jazz drummers around. During that time Asaf became a founder member of Gilad Atzmon’s ‘Orient House Ensemble’ and started his long time collaborations with renown saxophonist Tim Garland and pianist Gwilym Simcock. Asaf has been leading his own bands and projects such as ‘Asaf Sirkis & the Inner Noise’ – a band of an unusual line up of church organ, guitar and drum as well as the Asaf Sirkis Trio. He has been touring worldwide and recorded over 100 albums as a sideman, collaborator and as a leader. Asaf have been playing with many renown jazz and world music artists such as: Dave Holland, Jacob Collier, Tim Garland, Gwilym Simcock, Larry Coryell, Jeff Berlin, John Abercrombie, Bob Sheppard, Norman Watt-Roy (off the Blockheads), Wilco Johnson, Soft Machine, Robert Wyatt, Natacha Atlas, Dave Liebman, David Binney, Gary Husband, pianist John Taylor, Norma Winstone, Kenny Wheeler, Andy Sheppard and many more.